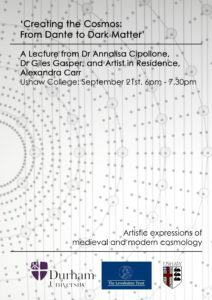 All welcome at this lecture by Dr Annalisa Cipollone, Dr Giles Gasper and Artist in Residence Alexandra Carr. 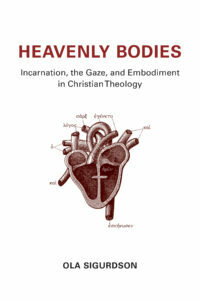 Ushaw College, Thursday, 21st September 2017, 6 – 7:30 p.m.
Jane Heath is organising a reading group over the summer to tackle Ola Sigurdson, Heavenly Bodies: Incarnation, the Gaze, and Embodiment in Christian Theology (Eerdmans, 2016). The group meets on 19th July and 1st, 8th and 15th August. Skype and external participants welcome. For further information, contact j.m.f.heath@dur.ac.uk. Senate Suite, University College, Durham DH1 3RW, UK.